Autism Rising? Dr. James Coplan Says It Ain't So But Is He Right? Dr. James Coplan, a developmental pediatrician with four decades of experience with special needs children, argues in Psychology Today that there is no increase in incidence of autism. Dr. Coplan distinguishes between autism prevalence which he describes as rates of autism diagnosis and rates of autism incidence which he describes as rates of autism occurrence . The essence of the Coplan autism epidemic denial has been heard before and is obviously partially correct. The changes in diagnostic definitions of autism from the DSM-III to the DSM-IV have expanded dramatically the numbers of persons described as autistic. I agree with that observation and I don't know of anyone who disagrees with it. The problem is that those diagnostic definition changes do not necessarily explain the entire, startling increase. Dr. Coplan does not really provide any credible argument or evidence to show that the entire startling, increase in autism diagnoses results from the 1994 diagnostic changes. Since my son was diagnosed 12 years ago (and his diagnosis is Autistic Disorder, assessed with profound developmental delays) the reported rates of autism, the autism prevalence as described by Dr. Coplan, have literally skyrocketed. From 1 in 500 to 1 in 110 with the most recent increase from 1in 150 to 1 in 110 occurring over a two year period, long after the DSM-IV changes. Dr. Coplan simply provides no compelling argument or evidence to support his rigid thinking that the increase is explained entirely by the diagnostic changes, increased awareness or the internet as some are now using to spice up the denial argument. Another problem for Dr. Coplan is that he is not criticizing parents of autism children , celebrities, or doctors who do not follow medical "consensus" with his argument. It is easy to mock, ridicule and belittle a celebrity actress autism mom when defending the safety of vaccines (even though it is an irrational strategy which simply creates more suspicion of health authorities). It is much more difficult to ridicule the CDC which compiles the autism prevalence rates. It is much more difficult to mock the IACC which has published information indicating that only about 40-50% of the increase can be explained by the 1994 diagnostic change and social ascertainment factors. Another huge problem for Dr. Coplan is that his argument ignores any possible environmental factors as causes or triggers of autism disorders. If autism incidence, rather than diagnosis, has remained constant than that supports the decades old thinking that autism was entirely genetic; that no environmental factors were involved. That paradigm was never much more than an assumption to begin with but it is now giving way to a new paradigm; one that views autism disorders as resulting from the interaction of genetic and environmental factors. That autism paradigm shift is remarkable in its own right given the fact that autism research funding has been directed overwhelmingly toward genetic research at the expense of environmentally focused research. In other words if you look at the sky you will see the sky. If you look at the ground you will see the ground. If you do genetic research .... well you will find that in 3% of cases studies persons with autism had common genetic processes all of which were unique to the individuals involved. YUP after decades of genetic research that's all we got. With a shift toward more environmental autism research we are likely to find more environmental triggers of autism disorders ... and more information to explain the startling increases in autism incidence. 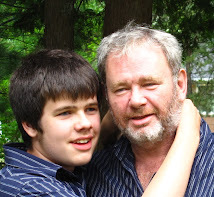 This humble autism dad in small town New Brunswick, Canada does not need a distinguished pediatrician like Dr. Coplan to convince me that the DSM-IV expanded the numbers of those diagnosed with autism. And I agree with him that the DSM-5 will continue that expansion. A great danger of that future expansion is that the obsession with genetics will once again be supported by the inability to distinguished autism prevalence and incidence because of a new DSM change. The environmental aspect of autism disorders, the environmental triggers of autism disorders, which may essentially be synaptic disorders, will be neglected and the real increase in autism incidence denied and obscured again. Dr. Coplan's decades of pediatric experience should be respected and valued but they should also be seen as potential obstacles to new thinking, new paradigms and new evidence from credible authorities, like the CDC and the IACC. Researchers like Dr. Irva Hertz-Picciotto, who has said that we need more environmental focused research to help us understand what is happening, should be heeded and their opinions valued. We have to move to a new paradigm and abandon the old assumptions that autism is entirely genetic, that autism is not actually increasing, if we are to understand what is causing these autism disorders that may be synaptic disorders. 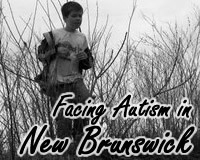 I have been a frequent promoter of the progress made in New Brunswick in the education of autistic students. Recent developments though show the extent to which that progress has been uneven with ultimate implementation of changes being left to the School District level. A bilingual and bifurcated Education department in New Brunswick has resulted in some francophone districts preferring to go it alone or to follow models from outside New Brunswick. Two developments have spurred the progress that has been made. One is the training of 4-500 teacher assistants at the excellent UNB-CEL Autism Intervention Training program. The program has received high marks on external review by Dr. Eric Larsson and has included knowledgeable guest speakers like David Celiberti of the Association for Science in Autism Treatment. The UNB-CEL AIT program has emphasized both quality and integrity with course entry requirements, substantial practicum and examination requirements. Unfortunately the program has been opposed by some in the Department of Education who felt that the program, which resulted from political-parent consultation, represented a loss of departmental influence. The Department is now moving back to what it has wanted all along ... an in house training program with all the inherent conflicts of interest, quality and integrity issues that in house training brings with it. Some school districts have also refused to enroll teacher assistants in the program particularly in New Brunswick's francophone school districts which have tended to go their own direction in New Brunswick's bilingual and bifurcated education system. Progress has also been made in modernizing inclusion in New Brunswick schools. For years the dominant "everybody in the mainstream classroom" approach pushed hard by the New Brunswick Association for Community Living and by Gordon Porter, the former chair of the New Brunswick Human Rights Commission, has held total sway in New Brunswick. This approach does not reflect the research literature, or the experience of families like ours, which says that not ALL students with autism belong in the mainstream classroom. I have presented legal reviews and research literature reviews to the MacKay Inclusion Review, (Professor MacKay is one of the worst offenders, and I use the term "offender" intentionally, when it comes to promoting the "everybody in the mainstream classroom" model of inclusion). My son used to come home with bite marks on his hands and wrists from his days in a mainstream classroom where he was overstimulated, and learning a different subject matter, using different methods than the other children in his class. Once removed from the class for most of his academic learning his self injury ceased and his school career has been a true joy as I have indicated many, many times on this blog. Conor has not been sent to a prison like isolation room. 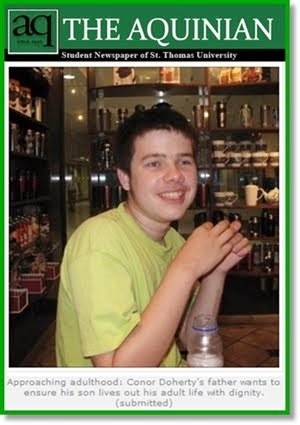 He has been educated in a small side room with an autism trained teacher assistant. The room is decorated with the usual learning tools and is not in the least restrictive. Conor visists the school gym, pool, kitchen and library. He is around other children there and in the halls. I have seen children greet him at school many, many times. Conor's classroom is the school and he is not alone in such accommodations which have been made for other students in District 18. The concept of the whole school as a classroom or learning environment is not mine. I am not a professional educator and I did not come up with it. The person who did relay that concept to me was Alex Dingwall the Superintendent of School District 18. The use of the whole school environment. to provide alternative learning locations and accommodation for autistic children who can not function in the mainstream classroom is not mine. It may or may not be Superintendent Dingwall's but it was he who relayed it to me during a settlement conference for a Human Rights complaint I had filed on behalf of my son and which I ultimately withdrew because he has been accommodated in our neighborhood schools here in Fredericton. I caught some of the CBC coverage of the Moncton child placed in a jail like time out room. I heard Krista Carr of the NBACL offering her commentary without acknowledging that the system in place in that school district is the total inclusion, everybody in the mainstream classroom, model which does not recognize that the classroom is not right for all children and does not put any emphasis on providing alternate learning locations outside the mainstream classroom. 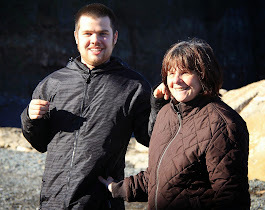 The total inclusion model pushed by the NBACL, by the former chair of the NB Human Rights Commission and by Professor Wayne Mackay has failed and harmed some New Brunswick autistic students, including, for a brief period of time, my own son. Thankfully Conor has, long since his failed mainstream classroom experience, had access to an alternate learning location in our neighborhood schools. The credit for that accommodation does not belong to me, or to Professor Wayne MacKay, former Human Rights Commissioner Gordon Porter or NBACL official Krista Carr. The credit belongs to educators at School District 18 who have accommodated my son's disability. Almost a month ago we took Conor to see SHReK in the local Empire theater. It was Conor's first visit to a theater in a few years and it went very well. We weren't sure though if it was a fluke or not so today we went again; this time to see Toy Story 3. Woody and Buzz are a couple of Conor's old favorites. It went very, very well. Conor was not in the least bit agitated. He laughed out loud during the movie and had lots of fun. In the combined picture above Conor smiles and points out some familiar faces Woody and Mr. Potato Head. Conor was happy, very happy, and Mom and Dad loved every minute of Conor's Toy Story 3 movie place adventure. Conor and Mom wore their finest Shrek Green T shirts as Conor headed off for his last day at Nashwaaksis Middle School. 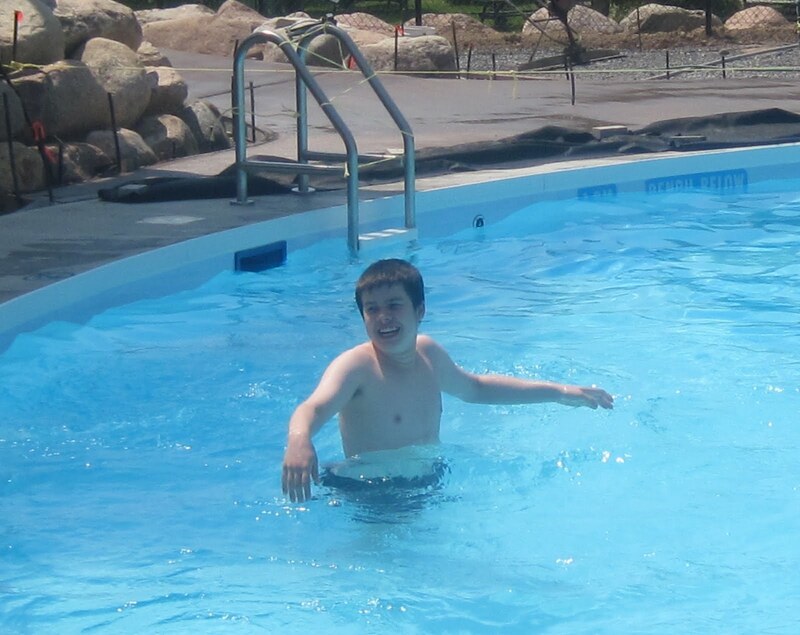 Middle school has been a great time for Conor. He loves going to school and he was a bit anxious yesterday knowing it was his last day. In the final picture Conor poses with Brad Daniels, the Education Assistant who has worked with Conor for most of the past three years. Brad has been absolutely outstanding working with Conor. I really can't put enough emphasis on what a great contribution he has made to Conor's life as Conor began his journey through the physical and emotional challenges of adolescence (you can see by these and many pictures that Conor has had a significant growth spurt). 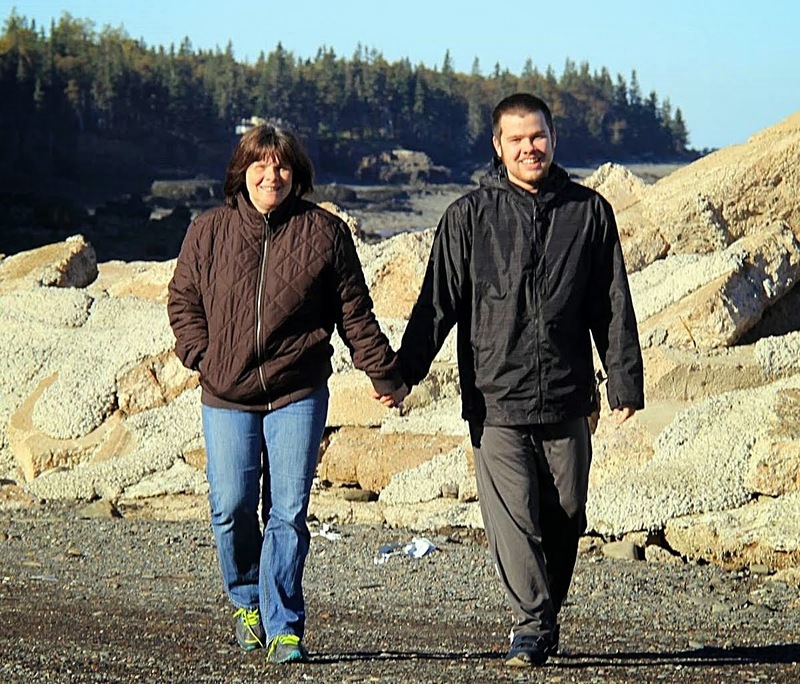 Brad has excellent training from the UNB-CEL Autism Intervention Training program and experience working with other autistic students but beyond that background his outstanding commitment and character are not easily matched. There have been other fine Education Assistants working with Conor during Brad's breaks or when Brad was not able to attend at the school over the past three years. And he liked the staff as well. I don't even know the names of all the people that have treated Conor so well at Nashwaaksis Middle School (I will mention "Cathy" and "Mrs. Heptich"), including the many students who said hello to him and talked to him when he arrived at school. To the fine people of Nashwaaksis Middle School a final thank you. Our buddy Conor has loved his time with you. The prevalence of ASD is rising in this country without a definitive understanding of why this is occurring. According to a December 2009 report of the Centers for Disease Control and Prevention (CDC), 1 in 110 children are diagnosed with Autism Spectrum Disorder (ASD), including 1 in 70 boys. That rate represents a 57 percent increase from the CDC’s report in 2007, which last reported that 1 in 150 children with a diagnosis of ASD.4 The CDC has not been able to attribute this increase to better, earlier and broader diagnosis of the disorder, concluding that it cannot “rule out” a true increase in the prevalence of ASD. I will leave it to those who glorify autism disorders to KWibble with the information provided by both the DHCFP of the Commonwealth of Massachusetts and the CDC. The conclusions reached concerning rising autism rates have been voiced many times by concerned parents and autism professionals but have been dismissed Autism is a disorder, it is a serious disorder that impacts everyone in our society. It is time to ignore the autism is beautiful nonsense once and for all and push hard for real autism research, treatment, cure and services. Let's not let another decade go by without a serious effort to address the very real autism crisis that has been staring us in the face for so long. It ain't just genetic. 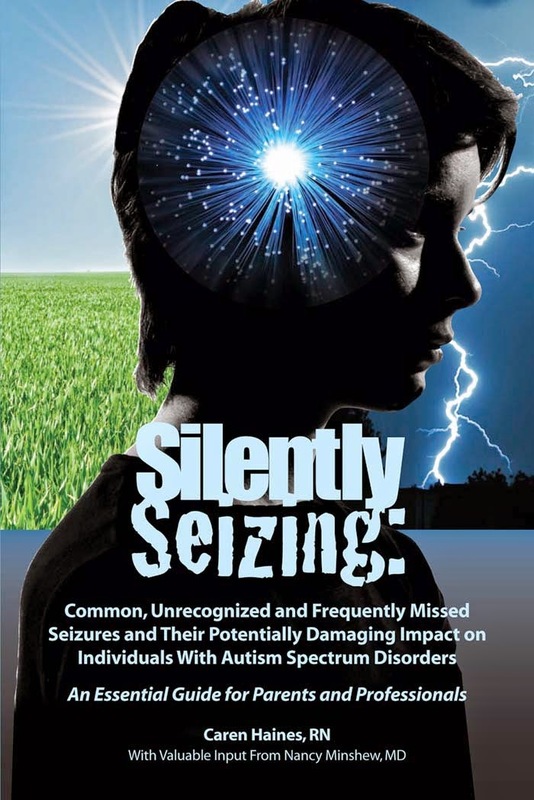 Time to face the truth, autism is rising and the crisis is real. Autism Disorder as Synaptic Disorder: Dysregulation of Neural Networks Causes Autism? "In summary, Ehlers and colleagues (Lee et al., 2010) use infection of a tetanus toxin light chain to silence isolated synapses and uncaging of glutamate at single spines to reveal priming of individual synapses for LTP. The authors show that the underlying molecular mechanism involves an increase in NMDA receptor number and a switch in NMDA receptor phenotype from NR2A-containing to NR2B-containing receptors. Alterations in postsynaptic NMDA receptors are associated with an increase in postsynaptic Ca2+ and increase in the NMDA component of the EPSC. These findings are significant in that they show for the first time that metaplasticity, once thought to be a process involving a global change in the biophysical properties of entire neural networks, can occur within a single synapse. Understanding how changes in NMDA receptor number and subtype alter the threshold for potentiation is likely to cast light on the molecular mechanisms involved in plasticity and priming in general and increase our understanding of how neural networks participate in higher cognitive function, including learning and memory, and how their dysregulation causes neuropsychiatric disorders, including autism." The emphasis in this article, and the Lee et al study it previews, is on plasticity changes in single synapses. This humble father of a son with Autistic Disorder does not pretend to have the knowledge of the subject matter or the jargon to follow the logic of the discussion without a great deal of effort and research. I do find it interesting to note how some of the concepts of which I have some degree of understanding are almost casually mentioned as factual. Autism is clearly identified as being caused by dysregulation of neural networks in a very unqualified manner. It is also interesting how the neural networks are described as participating in higher cognitive functions ... making a clear association between dysregulated cognitive functions and autism. It is refreshing to see autism discussed objectively as a synaptic disorder.involving cognitive challenges, not glorified or misrepresented. Hopefully our increasing understanding of the synaptic bases and functions involved in autism disorders will some day result in treatments to help autistic persons who want to overcome their disorders and the families who seek treatment for their children affected by autism disorders. Pesticides Suspected in Bee Brain Damage and Species Decline? Don' t They Know It's Gotta Be Genetic? "According to the Centre for Ecology and Hydrology, three of the 25 British species of bumblebees are already extinct and half of the remainder have shown serious declines, often up to 70%, since around the 1970s. In addition, around 75% of all butterfly species in the UK have been shown to be in decline. The new £10m Insect Pollinators Initiative (IPI), the largest programme to date of its kind, will look at the multiple reasons thought to be behind this devastation in insect population. Chris Connolly of Dundee University's Centre for Neuroscience has been awarded £1.5m to lead the work on whether pesticides are having an affect on the brains of bees. Pesticides could be blocking the electrical and chemical signals between neurons, he said, and only subtle changes may be required to produce serious brain disorders. These problems might stop bees identifying the best sources of nectar, or it might affect their ability to navigate to nearby food source and back home again. Brain disorders in bees might also interfere with their ability to communicate with nest-mates using the "waggle dance", where bees come back to their hive and spread information about the food sources they have found." Those poor misguided Brits. Haven't they learned that when it comes to neurological disorders there are no environmental factors involved? Haven't they heard of the flawed statistical surveys of human beings which demonstrate beyond any question, or demonstrate somewhat anyways, that neurological disorders like autism are 100% genetic?. Haven't they heard that when it comes to neurological disorders like .. oh .. say .. autism ... "it's gotta be genetic"? LaBelle said she went to the school with Jean-Michel and she saw the room, which she described as "the little jail." There are three walls bolted to the floor and a door, which is held shut when her grandson is inside. There is also a small window so his teacher's assistant can make sure he doesn't hurt himself." "For years, the Department of Education has had a policy of classroom integration, which means students of all abilities are placed in the same classroom." I have long been a critic of New Brunswick's inclusive education policies as an autism representative at Inclusive Education forums. The absolute, everyone in the classroom approach does not work for all students with autism spectrum disabilities. Alternative, flexible arrangements are necessary which recognize the need for some students with autism to receive instruction from autism trained aides in quieter settings. Common areas of the schools can be used to ensure socialization takes place. To insist on an everybody in the mainstream classroom all the time fails to accommodate the needs of some with special learning challenges and behavioral challenges. When the only alternatives are the regular classroom and jail like isolation rooms some children with autism disorders will suffer. As a father of a severely autistic boy with intellectual disabilities I, with my wife, asked for my son to be removed from the mainstream classroom early in his grade school years. He was coming home with bite marks on his hands and wrists after spending the day in a classroom with students who were learning different material then him. They were learning at a much higher level and using different instruction methods. Just the number of people in the classroom can be overwhelming for Conor. Conor has been educated since then in separate, quieter areas at school ... not in jail cell like rooms. 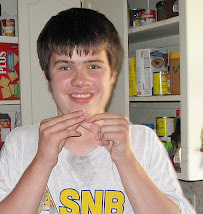 He has received instruction from teacher assistants trained at the UNB-CEL Autism Training program and he engages in activities in common areas of the middle school he now attends. 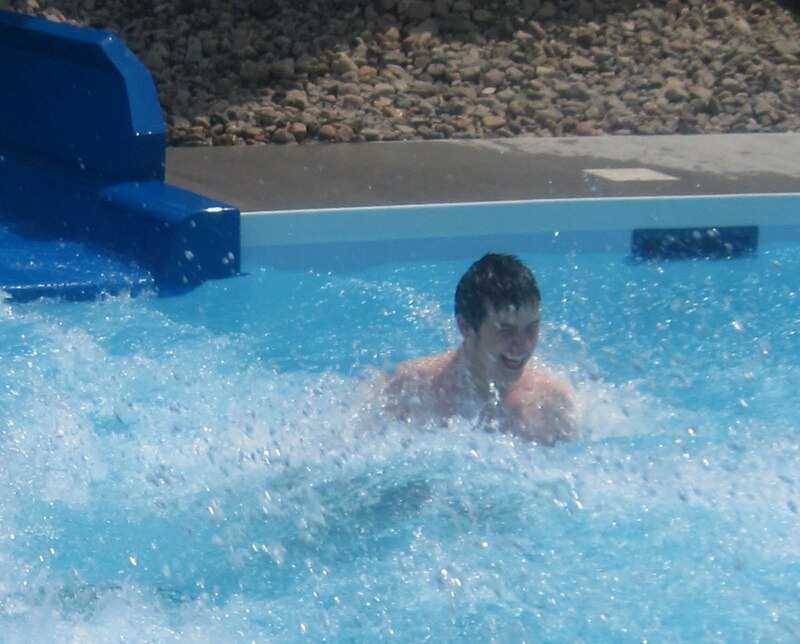 In the swimming pool, the gym, the kitchen and the library he encounters other students and staff. I take him to and from school every day. 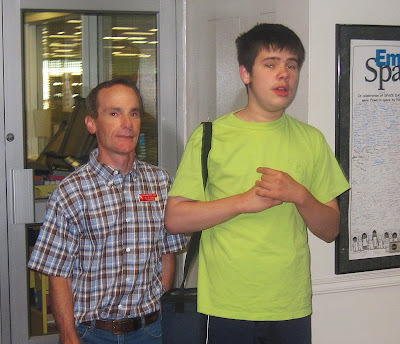 Other students regularly approach him and say hello with big smiles on their faces. Staff are very friendly with him. It is disheartening to see that schools in Moncton are offering autistic students a choice between the regular classroom and jail cell like isolation rooms. Autistic students and their families should be offered alternative learning arrangements like those provided to my son and other students in the Fredericton area where they can learn in separate, decent areas with properly trained instructors and visit common areas of the school for specific activities including the mainstream classroom for specified periods if that is within their capabilities. Whatever the full set of facts it seems clear from the article that no effort is being made to accommodate the student's need for accommodation of his disability. School officials are simply reacting to specific situations instead of trying to figure out alternatives that will help the student have a positive learning experience. 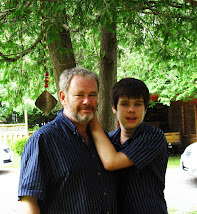 Students with autism disorders in Moncton deserve learning options like those provided to my son here in Fredericton. Yesterday I commented in Synaptic Disorder Instead Of Autism Spectrum Disorder? on the romanticization of autism disorders by those who subscribe to the Neurodiversity ideology. At Autism's Gadfly Jonathan Mitchell has dissected a very blatant example of romanticization and misrepresentation of autism disorders. In Thomas Armstrong's book on neurodiversity Jonathan describes as offensive the title of Dr. Armstrong's new book "Neurodiversity discovering the extraordinary gifts of autism ADHD, Dyslexia and other brain differences. " I agree with Jonathan's description of the book title as offensive. 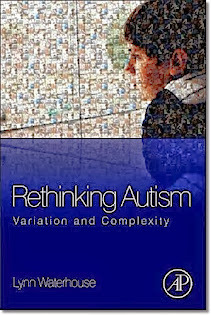 I refer you to Jonathan's commentary for the details but, as the father of a boy who is severely affected by Autistic Disorder, whose life will be one of living dependent on the care of others, I am sick and tired of careers being made, and books being sold, by people promoting flimsy, unrealistic, misrepresentations of autism based on the successes of a few high functioning persons with autism or Aspergers. As I said yesteday, maybe it is time to drop the "autism" label altogether and look at Autism Disorder as Synaptic Disorder. "Synaptic" doesn't sound like it would be as easy to market, and misrepresent to a gullible mainstream media, as "autism". Synaptic Disorder Instead Of Autism Spectrum Disorder? The word "Autism" has become romanticized, occasionally glorified, in public discussions of the neurological disorder. It is literally being stripped of its meaning as a diagnostic label of a mental disorder and is being turned into a different way of thinking, a way of life, a culture. Maybe it is time to start thinking about dropping the use of the term autism in the DSM, abandon the Autism Spectrum Disorder concept and replace it with a more informative, less romanticized, less politicized name ... Synaptic Disorder. At its most extreme the glorification of autism spectrum disorders has seen historical talents and geniuses from Mozart to Einstein "diagnosed" long after their deaths as having been "autistics". One of the silliest of such fantasies is the speculation that Jesus Christ was autistic. At the other end of the stigma spectrum are those aided by the American Psychiatric Association, and its dilution of the concept of autism disorders in the DSM-IV, who want the world to believe that autism and intellectual disability are unrelated conditions that are "coincidentally" present in 75-80% of those with Autistic Disorder and between 40 and 50% of all persons with autism spectrum disorders. "The formal definition of autism includes three main components: deficits in social behavior, abnormal language, and repetitive or restricted (motor) behaviors (hand flapping, for instance). But it can also include a host of other associated features like seizures, mental retardation, GI disorders, dysmorphic appearance, and regression. Given Dr. Insel's view, as Director of the NIHM, speaking at MIT, that autism is a synaptic disorder would it not be prudent for the DSM-5 team to hold off on another transformation of the pervasive developmental disorders, already spoken of as autism spectrum disorders, until the research confirms (or refutes) the view that autism is a disorder of synapses? Dr. Insel has indicated that describing autism as a disorder of synapses, synaptic disorder, may be more helpful in getting to the underlying biology of the disorder. Synaptic Disorder instead of Autism Spectrum Disorder? Surely it should at least be considered by the American Psychiatric Association as it once again revises the DSM. 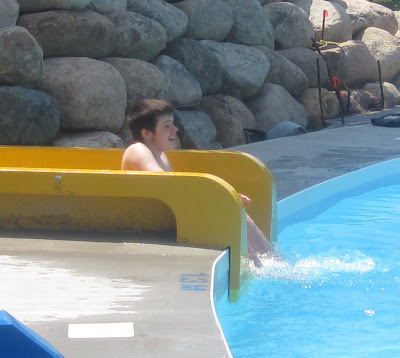 Conor had buckets of fun yesterday at the Bucket Club on an outing organized by the Nashwaaksis Middle School. It was the perfect day to get out of the classroom with hot temperatures by our local standards. We had no reluctance signing the permission slip for Conor to attend. Brad, the exceptional teacher assistant who has worked with Conor for most of his time at Middle School, was with him and kindly agreed to take some pictures with my camera. After surveying the landscape Conor dove right in and played some mini-golf, played with the basket ball and the kid friendly, lower to the ground basket ball hoops, climbed the towers to the tops of the taller slides and did lots of sliding and splashing in the water. It was a great day for Conor. Mom and Dad felt pretty good too when we saw the pictures of our very happy Conor. The recent release of results from the major autism genome study made headlines around the world some of which inaccurately portrayed the study as demonstrating that autism is entirely genetic with no environmental triggers and, heaven forbid, no possible vaccine connections. While any knowledge is theoretically helpful the almost exclusive focus over the last two decades on genetic autism research to the near exclusion of environmental autism research has probably slowed, if not prevented, our coming to fully understand what causes autism and what may help in curing autism. The recent study does, according to some reviews, offer some hope of treatment down the road. There may also be some help for those persons with autism disorders and intellectual disability who suffer from being autistic and intellectually disabled and from the stigmatization that results, especially within the so called "autism community", from being intellectual disabled. It is difficult to glorify autism as a different way of thinking, one which has allegedly blessed humanity with gifts from Mozart to Einstein, while acknowledging that approximately 80% of persons with Autistic Disorder and at least 40% of all persons with Autism Spectrum Disorders also have intellectual disabilities. While the mainstream media tends to ignore the realities of autism and intellectual disabilities in favor of the feel good "aren't they smart" stories there is outright shame and hostility felt by some in the so called autism community who do not want to be associated with, or have their "autism spectrum" children associated with intellectual disability. The shame and hostility felt by some in the "autism community", towards intellectual disability is blatant but not discussed except from the perspective of high functioning persons with autism and Aspergers. Interestingly enough the recent autism genome study may provide information which may help combat the prejudice against acknowledging the autism and intellectual disability connection. "The researchers compared the genomes of nearly 1,000 people with autism spectrum disorder (ASD) and about 1,300 healthy controls. On average, participants with ASD had 19 percent more CNVs than the controls. Most of the CNVs were inherited from parents while others appeared for the first time in the autistic individual. "About 6 percent of these occur as new CNVs in autistic individuals but the vast majority are rare, inherited CNVs," Scherer explained. "With autism, there's a higher likelihood of having CNV's in their genes, especially genes realted to intellectual disability," Shih stated. There were also commonalities with other disorders, including schizophrenia, Shih said." Scherer's reference to 40-50 percent of kids with autism having intellectual disabilities is a reference to kids on the autism spectrum of disorders. 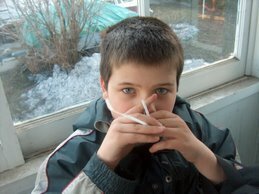 Since none of the kids diagnosed with Aspergers would have intellectual disabilities by definition, and since PDD-NOS cases tend to be milder, that estimate is consistent with the 80% of persons with autism (excluding Aspergers) having intellectual disability figure approximated by the Canadian Psychological Association and is consistent with the vast majority label used by Dr. Yeargin-Allsop, autism expert with the CDC. Without KWibbling over these approximate numbers and without going once more into any imaginary breaches this information clearly shows a genetic connection between autism and intellectual disability. To this humble father of a son with Autistic Disorder , who is not ashamed of his son's Intellectual Disability, it appears that a common genetic basis implies that the conditions may in fact just be part of one neurological disorder and are not in fact separate conditions at all. Kristina Chew is a mother of an autistic son and a well known and influential autism blogger whose views have been sought by prominent media institutions in the United States. She has visited this site on occasion and left some kind words. Her writings about her own son are those of a mother who loves her son deeply. 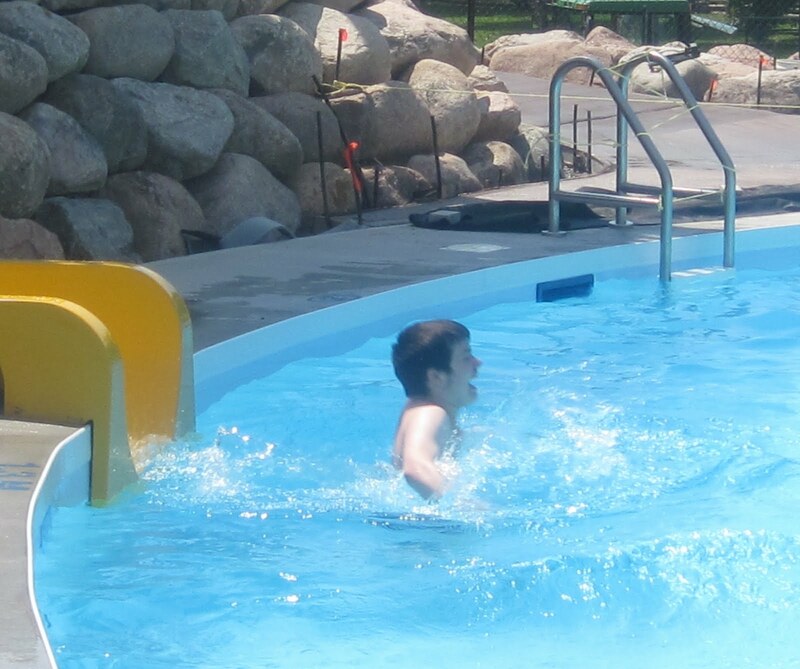 The pictures of her autistic son enjoying life with his parents are particularly moving. When I see her son's pictures and read Ms Chew's comments about her Charlie it seems that in many ways he is very much like my son Conor. I have always disagreed though with Kristina Chew's tendency to downplay the harsher realities of autism disorders. I am particularly saddened to see her recent writings about two incidents of parents taking the lives of their autistic children in which her point seems to be that we should not talk about the negative realities of autism disorders, we should emphasize the positive aspects of what are neurological disorders in order to prevent other parents from harming their autistic children. Ms Chew says that we should pretend that autism is a good thing to be embraced. We should ignore the fact that many with autistic disorder will live narrow restricted lives, many in residential care facilities, some in psychiatric hospitals. We should ignore the basic fact that, as parents, we sought medical attention for our child before we knew he was autistic, because we knew something was seriously wrong with him. 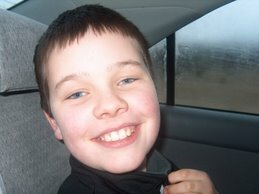 Before his diagnosis twelve years ago I did not know what autism was. Twelve years later I have a better understanding and I have no intention of embracing it. I love my son and look forward to the time I spend with him. I post many pictures on this blog site and on my Facebook page of Conor; the overwhelming majority of which are very positive. But I do not lose sight of the realities of his autistic disorder. I have done my humble best to improve my son's life and I have, along with other autism parents who refuse to wear rose colored glasses, fought hard to help other autistic children obtain evidence based early intervention and education opportunities. I have also lobbied actively, admittedly without any success to date, for improvements to our province's residential care system for autistic adults. On this site I push hard for autism research which will be more oriented toward finding out what causes autism, finding cures and treatments. I see no reason why my son should live forever with the deficits imposed by his neurological disorder if ways to help overcome those deficits can be found. The fact is some people are overwhelmed by life and break down. Some do horrible things and in some cases those persons do those things to their autistic children. Some of the parents who commit these acts may have their own mental health issues independent of their child's autism. To suggest that other parents should stop talking about autism realities in order to prevent such tragedies is not based on evidence, logic or common sense. The way to prevent such tragedies, to the extent they can be prevented, is to find help for the parents who need their own medical or psychiatric assistance, to speak honestly about the realities of autism disorders, to stop the almost exclusive focus on the genetic research obsession (it's gotta be genetic, Teresa Binstock, 1999) which has yielded nothing of value to help autistic children. The way to prevent such tragedies is to conduct research to find the environmental triggers of autism, to find how autism works biologically, to find cures and treatments for autism disorders, to provide more and better early intervention, schooling and adult care. The way to prevent such tragedies is to commit our selves as people, as parents, to helping our children overcome their neurological disorders. 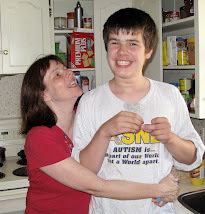 I love my son and that is exactly why I will never put on the rose colored glasses and embrace his autistic disorder. The decision this week by the New Brunswick Court of Appeal, reported in the Telegraph Journal, dismissing a discrimination complaint against the Province of New Brunswick for essentially "banishing" a severely autistic New Brunswick man to the US (Maine) to obtain appropriate care covers a range of legal issues and emphasize again the challenges faced in advocating for provision of autism services in the court system. The decision, New Brunswick Human Rights Commission v. Province of New Brunswick (Department of Social Development), 2010 NBCA 40 (CanLII), touches on a number of legal issues relevant to a legal analysis of discrimination complaints and includes commentary on the Supreme Court of Canada decision in the Auton autism case. (Justice Robertson, who delivered the Court's decision, was also one of my first year law professors at the University of New Brunswick.). In the disposition the Court concluded that the province was under no obligation to provide the service sought. The British Columbia Supreme Court and Court of Appeal decisions in the Auton case were huge factors in energizing Canadian autism advocates. The expert evidence in the cases summarized authoritatively the strong evidence basis for ABA in helping autistic children overcome serious deficits and improve their quality of life. The British Columbia trial and appeal decisions provided autism advocates across Canada with powerful tools to use in discussions with government autism service providers. Many autism advocates in Canada, including me, concluded after those decisions were reversed by a unanimous decision of the Supreme Court of Canada in Auton that Canadian courts would be of little assistance to parents and others advocating for decent education, health and residential care services for autistic children and adults. The Ontario Court of Appeal decision in Wynberg reversed a decision which held that the exclusion of autistic children aged 6 and over from a government funded early intervention program discriminated against the children on the basis of age and disability. Yesterday's decision by the New Brunswick Court of Appeal reaffirmed that Courts will be of little assistance in advancing the interests of autistic children even if Justice Robertson did offer a nuanced decision which rejected many of the Province's arguments but in the end dismissed the case. The Auton and Wynberg reversals helped focus Canadian autism advocates by making it clear that redress must be found in legislative change. It was truly time to "get political". Here in New Brunswick the Court of Appeal decision again emphasizes the need for advocates seeking improvements to New Brunswick's adult autism care services to "get political". The Appeal Court decision highlights once again the need for a New Brunswick based residential care and treatment facility for autistic adults; one that would provide residential care and treatment for the more severely autistic who can not live in a group home setting. The psychiatric hospitals, Centracare in Saint John and the Regional hospital in Campbellton, have been the only option for severely autistic adults who remained in New Brunswick. The facts of the case indicate that a complaint was filed on behalf of the individual involved in 2002. It is now 2010, eight years later, and despite further high profile incidents like the housing of an autistic youth on the grounds of the Miramichi youth correctional facility pending an opening at Spurwink, the Province of New Brunswick has made no identifiable steps toward either establishing a secure, modernized residential care and treatment facility for the most severely autistic or toward enhancing a private run group home system that currently has no autism specific training requirements for staffers. Presentations have been made by advocates and experts here in New Brunswick to the New Brunswick government asking for a modernized residential care and treatment facility in Fredericton. Fredericton was requested because of proximity to the autism expertise at the Stan Cassidy Center, the UNB-CEL Autism Intervention Training program and the UNB Department of Psychology and the geographically central location of Fredericton with many recreational and other opportunities available for prospective residents of such a facility. I have been involved in several such meetings and assisted in compilation of a provincial survey several years ago which sought feedback for government discussions concerning adult autism residential care. In a very recent letter from the current Minister of Social Development, Kelly Lamrock, I was informed that his department is working on these issues. The Province's previous track record on adult autism care suggests that such words are just part of an "official" response with no specific commitment and no realistic chance that positive changes would follow. It is only the genuine respect I hold for Mr. Lamrock, a person I have met on many occasions in the course of my autism advocacy in his former role as Education Minister, that makes me think that maybe now, finally, something will be done. 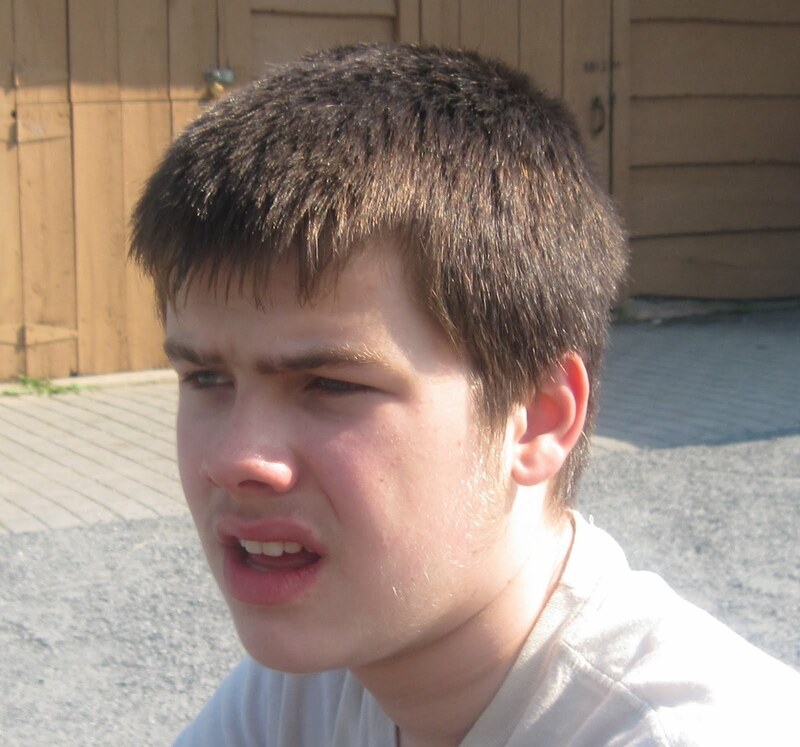 For now though, eight years after the discrimination complaint filed which led to this week's Court of Appeal decision, an examination of the record shows that we have done nothing to improve care for autistic adults here at home in New Brunswick. Nothing, not a darn thing. In the above noted quote the CDC's autism expert Dr. Yeargin-Allsopp did not try to get too precise with the numbers of persons on the "autism spectrum of disorders" who also have an intellectual disability. Two recent CDC surveys estimated that 44% and 41% of persons with ASD have an intellectual disability not 40% but it is difficult to be precise, even for the CDC autism expert, with large survey figures. The results of such surveys are expressed with terms like "about" or "approximately" so there is nothing added to our understanding of autism by KWibbling over whether the correct figure is 41% of 44%. Nor is there any reason based on the CDC approximate figures to KWibble over the Canadian Psychological Association's 2006 estimate that 80% of those with autism, distinguished from Aspergers, also have an intellectual disability. The CPA figure is accepted as consistent, by this humble Dad, until the CPA, or an equally credible, authoritative source says otherwise. What we need to do is understand, as revealed in the quote above from Dr. Yeargin-Allsopp, that the clear association between autism and intellectual disability was downplayed by the American Psychiatric Association in the DSM-IV revisions. We should understand the harm these revisions have caused to public understanding of the realities of autism disorders and the further harm that will be done when the "autism spectrum" is again expanded and watered down. We should understand now and begin to explore the connections between Intellectual Disability and "classic" autism, currently called Autistic Disorder, before the APA plunges ahead with its New Autism Spectrum Disorder in the DSM-V, which it will do notwithstanding any public commentary or criticism. This humble father of a 14 year old son with Autistic Disorder and Intellectual Disability is not going to KWibble over the CPA's math unless a credible authoritative source takes issue with the CPA figures and demonstrates that they are wrong. I am not ashamed of my son's Intellectual Disability and I do not subscribe to the romanticization of autism and other serious neurological disorders under the offensive Neurodiversity ideology which describes these disorders variously as cultures, natural differences or preferences. Nor am I a "professor of psychology" at a community college or university with the qualifications to take issue with a national professional governing body like the Canadian Psychological Association. Dr. Yeargin-Allsopp's comments are those of a CDC autism expert telling us in plain language that prior to the DSM-IV revisions which grouped autistic disorder with Aspergers and PDD-NOS the Vast Majority, not a 50% plus 1 majority, but the Vast Majority of those with autism also had an intellectual disability. That strong and compelling piece of information about the reality of autism as a neurological disorder was obscured by simple definition changes in the DSM-IV. There are some "autism experts" who publish several articles a year, and conduct studies of "autism" involving only high functioning autistic subjects and persons with Aspergers. They do not make the effort to study the most seriously disabled of all persons with "autism spectrum" disorders ... Autistic Disorder's Vast Majority... those with Intellectual Disabilities. They routinely publish studies involving HFA and Aspergers studies which invariably get reported in the mainstream media as demonstrating that persons with autism have hidden, perhaps even superior, intelligence. That type of feel good reporting obscures our understanding of the realities faced by those who are members of Autistic Disorder's Vast Majority ... those with an Intellectual Disability, With the further merger of the PDD's into one New Autisim Spectrum Disorder in the DSM-5, and the further watering down of what constitutes autism, the figure of 40% cited by the CDC's autism expert will, once again, be magically reduced and obscured ... hidden from public consciousness. Does everyone really think it is just a coincidence that 80% of those with Autistic Disorder, or not to KWibble .... the Vast Majority, are intellectually disabled? Unfortunately the American Psychiatric Association is about to get the DSM-V, and the New Autism Spectrum Disorder, in place to further obscure and further reduce the impetus to research, explore and understand autism as an intellectual disability. The vast majority of those with classic autism who are intellectually disabled will not be helped by the DSM-V changes. Their reality will be further obscured and hidden behind an increasingly glossy portrayal of autism in our public discussions. Time to order a new set, a DSM-5 version, of rose colored glasses with which to look at the New Autism Spectrum Disorder. "The researchers say that the genetic pattern they found suggested the genetic causes of autism are much more complex than they would have thought. In fact, the findings probably explain only about 3.3 per cent of the genetic origins of autism, and each child with autism appeared to have unique genetic markers associated with his or her disease. As far as this humble layperson can understand from media summaries of the study the results are important in identifying genetic markers in some autism cases, and helping confirm the biological structures of autism disorders, but does not determine what triggers autism in those who are genetically susceptible. As far as I can tell from reading various reports the study does not rule out ANY possible environmental causes or triggers of autism or of the genetic changes reported in the study. If anything the study appears to indicated the need for research of environmental triggers to begin in earnest after decades of intentional neglect by those with responsibility for funding autism research. Transitions are very difficult for many with autism. Conor, who has Autistic Disorder and intellectual disabilities, is now in his last year of middle school and will be moving next year from Nashwaaksis Middle School to Leo Hayes High School. The planning for that transition began in the new year when we met with a planning team from the middle school, high school and School District 18. A good solid transition plan was worked out and ... equally importantly ... implementation is proceeding as planned. The essence of the transition planning is to famliiarize Conor with the new school itself and the people who will be working with him in small bites while he is still attending his regular middle school. The teacher assistants who will be involved with Conor next year have visited him and begun working with him part days at his current school. He knows their names, he knows them. They are now part of Conor's picture. Conor has also spent part days at the high school he will be attending next year becoming familiar with the setting in which he will be educated next year. Yesterday was a very good day for Conor. He spent a full day at Leo Hayes High School working with the teacher assistants in the actual location in which he will be educated next year. Conor's excellent current teacher assistant Brad, who has been involved with Conor for most of his three years at middle school attended with Conor but removed himself from the scene, faded out of the picture, at various times during the day. Conor did very well and is scheduled to attend at Leo Hayes High School again this Wednesday for another full day. Hopefully it will go well as it did yesterday. We had worried about Conor's transition from grade school to middle school but Conor loved it. In the picture above he is shown posing with his perfect attendance certificate he received after completing his first year at Middle School. When we moved to our current home 4 years ago we prepared Conor by driving by and pointing out our "new house" to him. A friend, who is also an educator and Autism Clinical Supervisor, who has previously worked with Conor, prepared some story boards with pictures of the "new house" on it and the transition was a huge success. So we know Conor can handle transitions when properly planned for and implemented. 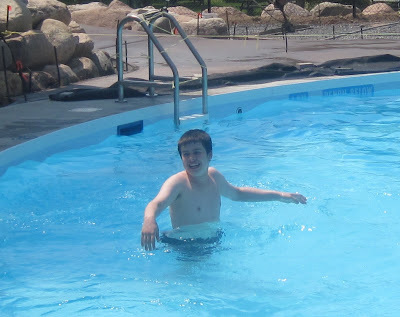 Conor's transition to high school has already begun and, while taking it one day at a time, we are very optimistic that it will work out well for Conor. When he starts high school next year it will be in a place, and with people, that are already part of Conor's picture. "Apparently an intact postsynaptic structure is especially important for the development of cognitive functions, language, and social competence"
In Newly Discovered Gene Variants Lead To Autism And Mental Retardation Medical News Today reports on a Study by Researchers working with Professor Gudrun Rappold, Director of the Department of Molecular Human Genetics at Heidelberg University Hospital who purportedly have found genetic mutations in the SHANK2 gene, partially responsible for linking nerve cells, and variants in the number of gene copies that were common to patients with autism and patients with mental retardation. The mutations and variants were not found in control patients in the study. Professor Rappold stated that "the same mutation can be present in an autistic patient with normal intelligence and in a mentally impaired patient". Using microarrays, we identified de novo copy number variations in the SHANK2 synaptic scaffolding gene in two unrelated individuals with autism-spectrum disorder (ASD) and mental retardation. DNA sequencing of SHANK2 in 396 individuals with ASD, 184 individuals with mental retardation and 659 unaffected individuals (controls) revealed additional variants that were specific to ASD and mental retardation cases, including a de novo nonsense mutation and seven rare inherited changes. Our findings further link common genes between ASD and intellectual disability. He's not "retarded", he's "autistic"... "retarded" only gets him funding and placements. Autistic, gets him educated. Unlike some... I'm not writing mine off at 8 as it's appeared you have at 13... There's a lot of living and learning still to do btwn now and the day we die." Although she is harsh in her writing style I don't believe, from what I have read of FW2's comments here and elsewhere, that she intends to be hostile. I think she is passionate about fighting for her son and I respect that. She is welcome to post here and to continue doing so. On occasion when I think she has gone over the top I will not publish her comments but generally she does not go too far. I believe that FW2's comments reflect fear, fear that her son will lose all if he is labelled as intellectually disabled or mentally retarded. I understand her fear but I believe nothing is gained in the long run by hiding the truth about our children's disabilities. I have no doubt about the severity of my son's autistic disorder and his intellectual disability. They are part and parcel of the same condition. My son is now 14 but I realized long ago the full extent of his diagnosis. He was diagnosed at age 2 and he was also assessed shortly thereafter by New Brunswick's leading specialist in childhood autism, clinical psychologist Paul McDonnell. His full diagnostic assessment has, for many years, been "autistic disorder assessed with profound developmental delays". I am a lawyer but you don't have to be a lawyer to know what "profound" developmental delays means. As a father I have seen those profound development delays every day of my son's life. I have no choice but to speak the truth or forever cast myself as a liar. 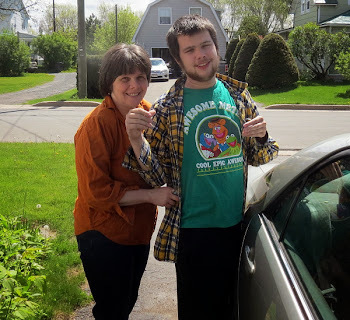 Acknowledging his intellectual disability has not kept me from fighting , at times ferociously, on his behalf and on behalf of other autistic children in New Brunswick. 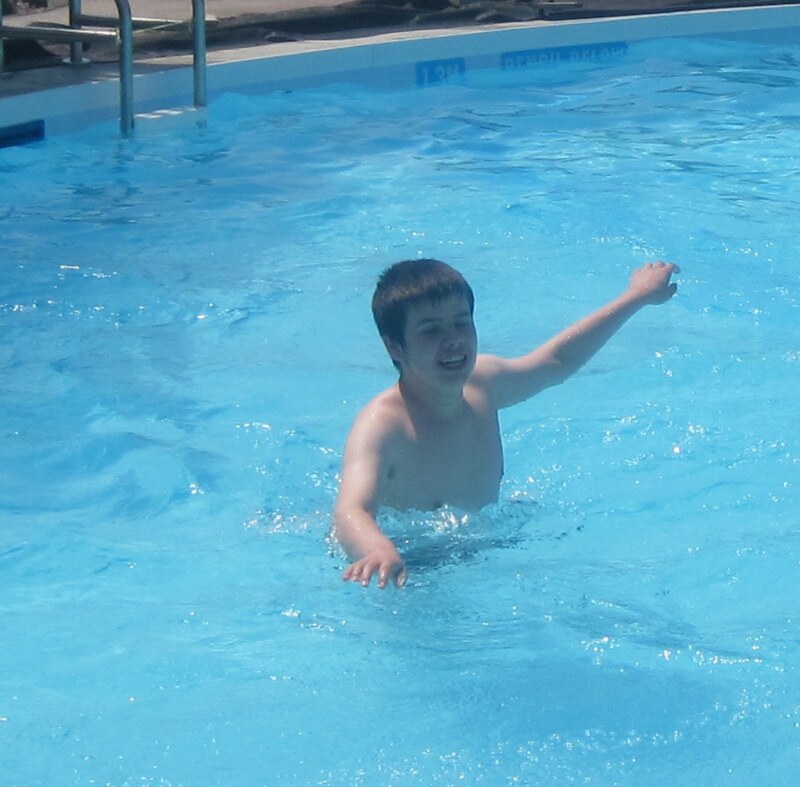 I do not write off my son or any other autistic child with, or without, intellectual disability. It is those who pretend that every autistic child is another Dr. Temple Grandin in waiting who write off our autistic children by creating a false public image of the challenges they face. We do a disservice to our intellectually disabled children by recoiling in fear from speaking the truth, from telling the world the full extent of their challenges. I will not cower before the stigma that so wrongly accompanies intellectual disability. For me, that also means acknowledging that when 80% of persons with Autistic Disorder also have an Intellectual Disability that the two are not just related conditions. They are part and parcel of one neurological condition that has been artificially separated. 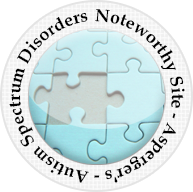 Autistic Disorder and Intellectual Disability separate disorders? Sell that bridge to nowhere to someone who hasn't already crossed the river and seen the truth. Attached is the press release from the Social, Health and Family Affairs Committee of the Parliamentary Assembly of the Council of Europe (PACE) outlining the conclusions of the provisional PACE report, The handling of the H1N1 pandemic: more transparency needed. The Press Release denounces the unjustified Swine Flu scare and waste of public money. Fiona Godlee, Editor-in-Chief of the British Medical Journal, told the Council that, according to an investigation by her journal, scientists who drew up key WHO guidelines on stockpiling flu vaccines had previously been paid by drug companies which stood to profit. Meanwhile, here in New Brunswick, Canada, on the same day the Council of Europe report was released questioning the handling of the H1N1 flu our Department of Health announced plans to expand our seasonal flu vaccination program to cover all children under 18 "after the success of last fall's H1N1 campaign." The Department of Health Deputy Chief Medical Officer Paul Van Buynter measured success solely by the large numbers of New Brunswickers who received the H1N1 shot. There is no mention of the many credible voices, in Canada and in Europe who have questioned whether the scare campaign launched in Europe and elsewhere including here in New Brunswick was justified. Presenting his report, Mr Flynn told the committee: “this was a pandemic that never really was”, and described the vaccination programme as “placebo medicine on a large scale” (see video below). However, attending the meeting was Fiona Godlee, the Editor-in-Chief of the British Medical Journal, who told the parliamentarians that, according to an investigation by her journal, scientists who drew up key WHO guidelines on stockpiling flu vaccines had previously been paid by drug companies which stood to profit. The WHO has been “highly defensive”, the committee said, and unwilling to accept that a change in the definition of a pandemic was made, or to revise its prognosis of the Swine Flu outbreak. The committee sets out a series of urgent recommendations for greater transparency and better governance in public health, as well as safeguards against what it calls “undue influence by vested interests”. It also calls for a public fund to support independent research, trials and expert advice, possibly financed by an obligatory contribution of the pharmaceutical industry, as well as closer collaboration with the media to avoid “sensationalism and scaremongering in the public health domain”. 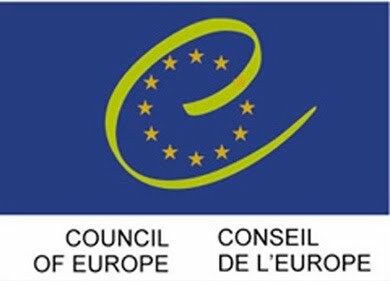 The report is due to be debated by parliamentarians from all 47 Council of Europe member states on Thursday 24 June during PACE’s summer session in Strasbourg. I have commented on several occasions about the fact that many persons with Autistic Disorder also have Intellectual Disabilities. That fact is a reference to Autistic Disorder as it currently exists in the DSM-IV and excludes, by definition, the many persons with Aspergers Disorder one of the Pervasive Developmental Disorders now commonly referred to as Autism Spectrum Disorders. I have pointed out that the Canadian Psychological Association has referenced studies indicating that 80% of persons with autism ... excluding Aspergers .... have an intellectual disability or cognitive deficit. I have pointed out that two surveys conducted by the CDC (2004 and 2006) indicated that 41-44% of persons with Autism Spectrum Disorders, also have intellectual disabilities. Since the Autism Spectrum includes all those with Aspergers who, by diagnostic definition are not intellectually disabled, the CPA and CDC approximate figures are consistent: approximately 80% of those with Autistic Disorder are intellectually disabled and approximately 40% of those on the entire "spectrum" of ASD's are intellectually disabled. Autistic Disorder is the current diagnostic category (although that will be changed in the DSM-5) which would include those who would have been diagnosed with autism in the 1960's and 1970's. That is the category where the vast majority as Dr. Yeargin-Allsopp states also have intellectual disability. It is only the inclusion in the broad definition of "autism" of Aspergers Disorders, which by definition includes no one with intellectual disability, that lowers the percentage of persons with autism who also have an intellectual disability from the 80% figure to the 40% figure. Those with Autistic Disorder are still in the 80% range of "co-morbidity". It is crystal clear that these authorities assert that 80% of persons with Autistic Disorder are also intellectually disabled. By pretending that these conditions are "co-morbid", unrelated, coincidental conditions we are ignoring the obvious relationship between them. We are ignoring the fact that classic autistic disorder is a form of intellectual disability. The fact that 80%, even an unspecified "vast-majority", of those with Autistic Disorder also have an intellectual disability is not a coincidence. It is time now to acknowledge that fact before the DSM-5 arrives to further expand the definition of autistic disorder and further obscure the harsher realities of autistic disorder as we know it today.